The Carolina Dog is a feral dog that is found in South Carolina and Georgia that looks remarkably like a small Dingo. They are now extremely rare in the wild and has only more recently started being kept as a companion. It is believed that the ancestors of the Carolina Dog was brought to North America across the Bering Straits by Asian 8,000 years ago. Once kept by the Native American's, it was once believed that they had become extinct, perishing as the world around them changed or through accidental crossings with European dogs. It is likely that these very crosses led to the development of the Southern "cur" breeds, such as the Black Mouth Cur and Mountain Cur, even as it endangered the native dogs. Luckily, they became rediscovered in the 1970s by biology professor Lehr Brisbane, surviving in the Savannah River region of South Carolina. 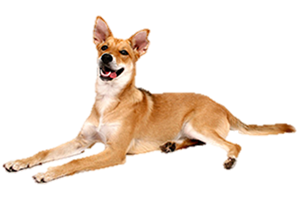 Brisbane gave them the name of Carolina Dog and set up a group to monitor and protect them. Is the Carolina Dog Right for You?